What does a high-quality education mean to you? 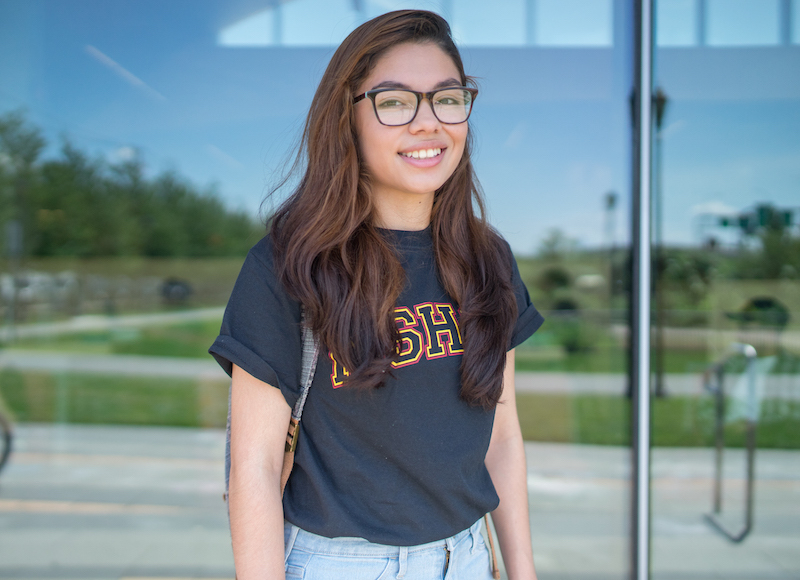 For Mass Insight Education and Research, a high-quality education means systems and schools that fully empower students to pursue college and the career of their dreams. A recognized national leader in school turnaround, Mass Insight closes the achievement gap in Massachusetts and across the country. As a part of our work in Massachusetts, Mass Insight partners with administrators, teachers and students in nearly 80 schools throughout our Advanced Placement (AP©) STEM and English program. Using the college-level AP platform to build academic rigor in schools, Mass Insight increases the enrollment and performance of low-income students, students of color, and English Language Learners in AP classes. Boston Public Schools students Maybelline Perez and Natan Santos are two of the more than 10,000 students in Massachusetts who benefit from a high-quality education critical for college and career success. Mass Insight is changing outcomes for students. This critical work is made possible by donors like you, donors committed to empowering all students with a high-quality education. 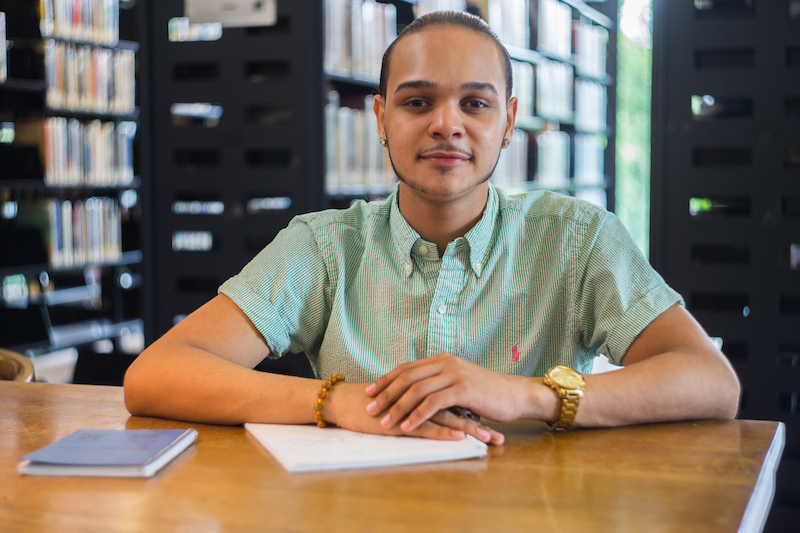 “I always cared for school work but I needed more challenging courses to help me develop into a great student,” says Natan Santos, a senior at New Mission High School located in Boston’s Hyde Park. “Once I got serious, I started taking two math classes a year to prepare for harder classes and AP classes.” Natan took three AP classes his junior year and is taking five in his senior year, including AP Calculus and AP Biology. A low-income, Latino student, Natan says he went from doubting his academic ability to writing and presenting interdisciplinary research papers because of a school environment that encouraged more students like him to take rigorous classes. At New Mission High School, more than 90% of students are students of color and more than 45% are economically disadvantaged. Since the school entered Mass Insight’s AP STEM and English program in 2013, it has nearly doubled the number of students enrolled in AP classes and has quadrupled the number of students receiving an AP exam score that qualifies for college credit. Maybelline has aspirations to study public health or public policy and become a doctor—and she’s preparing for college by taking as many challenging AP classes as she can. At East Boston High, more than 80% of students are students of color and more than 75% are high needs. Since the school entered Mass Insight’s AP STEM and English program in 2011, the number of low-income students who receive a qualifying score on an AP exam grew by 400% over three years. Maybelline’s motivation to prepare for college and career has come from her parents and from engaging teachers. This year, she’s challenging herself with four more AP classes, including Calculus and Physics. And she’s already got her eye on several colleges in Boston like Northeastern University, Simmons College, and Harvard University. Natan and Maybelline are both prepared for the challenges of college and career, thanks to Mass Insight’s AP STEM and English program. Students who take at least one AP class in high school are more likely to graduate from college within four years. The possibilities for students who earn a qualifying score of a 3, 4, or 5 on an AP exam are even more significant: African-American students are 21% more likely to graduate from college, Hispanic students are 27% more likely, and low-income students are 32% more likely. A high-quality education is crucial for college and career success. Among Boston Public Schools students who graduated in 2009, more than half of minority students who went on to attend college ultimately dropped out, and only 37% of all students from the class of 2009 graduated with a college or professional degree within six years. Since the program’s inception, Mass Insight has more than tripled the number of qualifying AP exam scores for female students and more than quadrupled qualifying AP exam scores for African-American and Hispanic students. Mass Insight students are more likely to persist in and graduate from college, and that means more youth in our communities prepared to thrive. Your gift allows more students like Maybelline and Natan to benefit from the kind of education that empowers them with opportunity. Make your gift today to support a high-quality education for students like Natan and Maybelline. $29 provides one AP student with 12 hours of extended learning time in one subject. $79 fills one Mass Insight classroom with books and supplies. $255 allows a classroom of AP students to take a mock AP exam. $500 sends one teacher to a two-day professional development workshop. Every gift makes an impact toward closing the achievement gap. *Donors who make a gift of $1,000 or more are recognized as leaders in closing the achievement gap as part of Mass Insight’s Michael G. Contompasis Giving Society.